‘The Pro’ Pen with Stylus and 5 Lumen LED Light. $2.15 each. 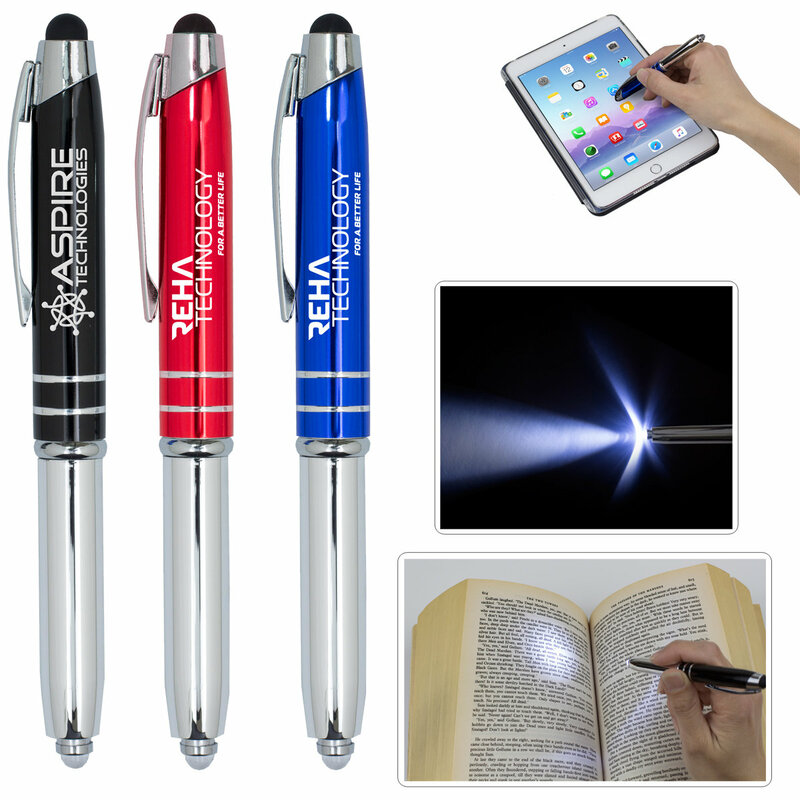 This ballpoint pen features an extra bright white LED light perfect reading in the dark, or for late night studying. Push down on LED bulb to turn LED light on/off. This pen also features a soft stylus tip for touch screen devices such as tablets and mobile phones. Pen cap fits both sides. Packaging: Gift Box with Batteries, Battery life subject to individual use. Setup Charge: 55.00 (G), per location. Email Proof Charge: 7.50 (G), add 2 days to production. Price Includes: Laser engraved imprint, one location only. Repeat Setup Charge: 25.00 (G). Speculative Sample: $25 (G) plus setup charges cost of the item and cost of any additional color per unit running charges and freight charges. Production Time: 3-5 Days.